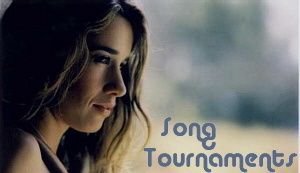 The Miscellaneous tournament included all the songs not featured on Heather Nova's regular studio album releases. For the first part of the tournament, the songs were grouped together into seven mini tournaments by their source and whether they were an original song, a collaboration, or a cover. The winners of the mini tournaments then went on to the Miscellaneous quarterfinals, semifinals, and finals to determine the single winner of the Miscellaneous Tournament.